Horizontal stripes are my favorite thing to wear and now they're "in"! This means I get to stockpile stripey clothes like a boss. 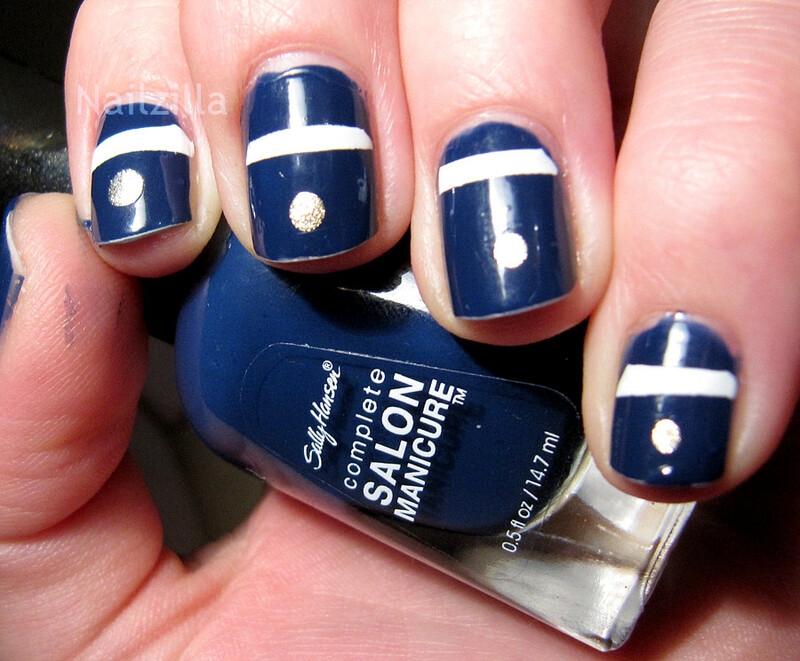 This also means I can give navy stripes a try on my nails! I used SH - Thinking of blue and the white nail art polish to do the stripes. The anchor was done with ORLY Luxe and a dotting tool. They turned out wider than I wanted, but I liked how vivid they looked.They sort of remind me of bees actually... it felt a little strange being distracted by my nails no matter what I did. Next time, I'm going to try making the stripes thinner, that should give it the look I really want. On my right hand I did something simpler, but I ended up liking it better! Same base polish, tapes off a white stripe and ORLY Luxe dots in the middle. What are your thoughts? Have you worn horizontal stripes yet this spring? 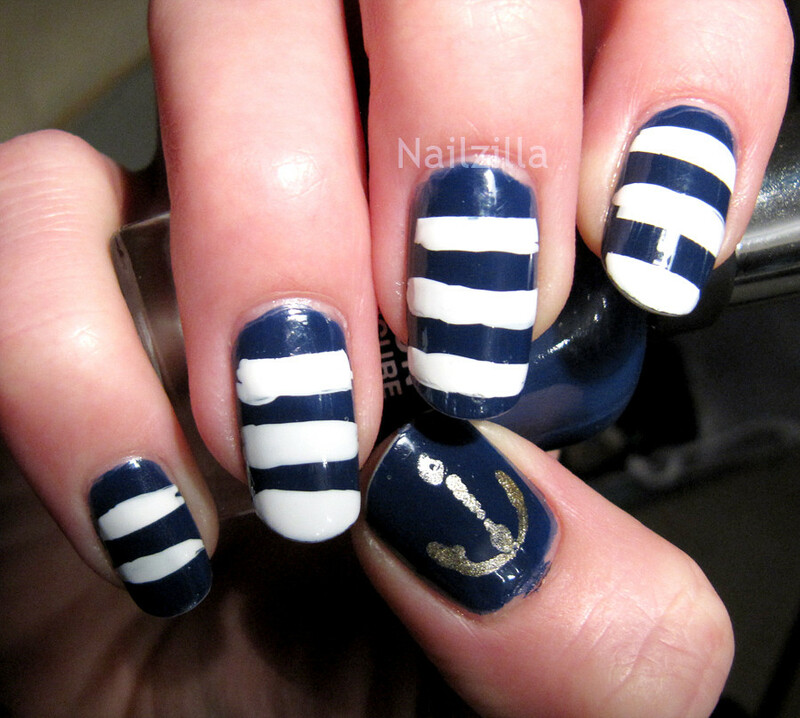 I love nautical themed nails, so pretty!